They are made of sterling silver (925) handmade in my studio. 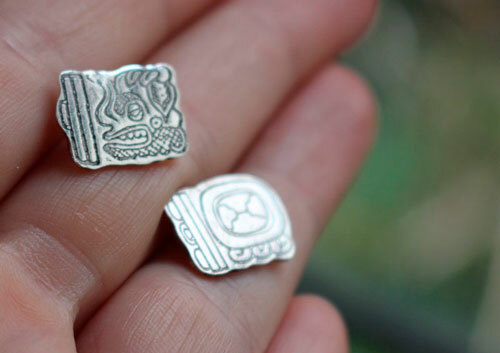 These earrings are custom made with the date of your choice from the Mayan calendar wheel. 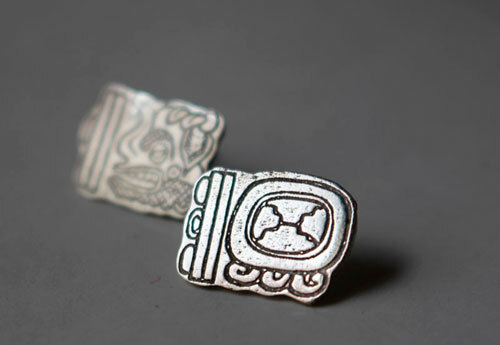 Therefore, you will have a pair of post earrings made of two different glyphs, one stud for the Tzolkin and another one for the Haab. These post earrings are really one of a kind. It is artisan etched. 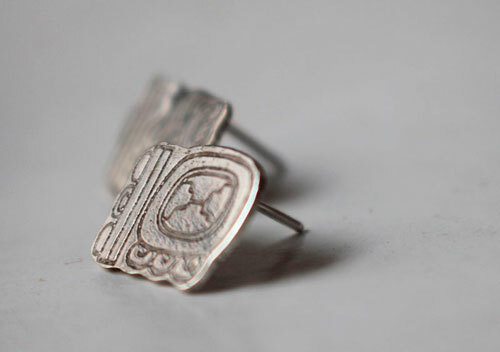 The etching process takes times but the result allows appreciating the intricate and delicate patterns. The bas relief effect is really nice. The deeper part is matte and the upper part has been sanded and polished. Shiny finish. Etching is an artisanal process which produces a unique design each time I use it. Two pieces with a same design will never be exactly the same by the hazards of the process. Each detail makes a unique piece. 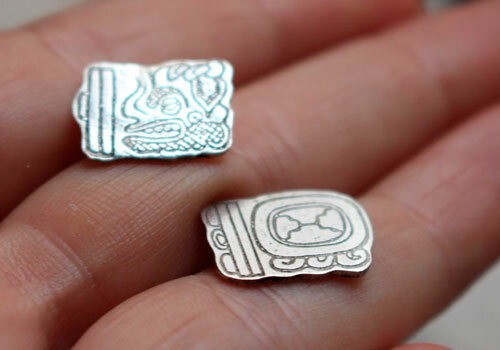 They are 1 x 1.3 cm (approximately) depending on the date numbers added to the glyph. This set is custom made. I will need 3 working days to finish your order. 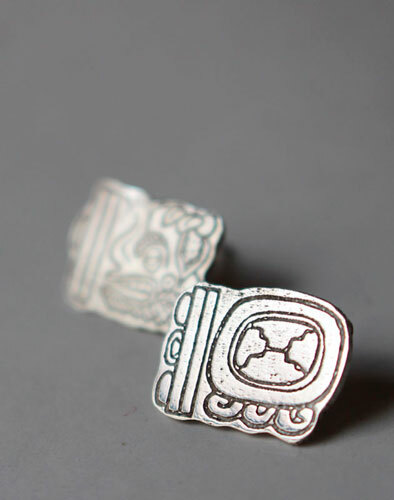 Tag: earrings, sterling silver, studs, Maya, Mexico, etched, engraved, calendar, Tzolkin, Haab, Mayan, date.